In Emma Douglas' new novel, No Place Like You, home—the island village of Cloud Bay—is where the heart is. . . . .
Leah Santelli always knew that Zach Harper, son of a rock legend and her best friend’s brother, was painfully out of reach. Then, on the night of her eighteenth birthday, Leah shocked herself by asking for—and receiving—the gift she wanted: one night of passion with Zach before he left town to pursue his rock star dreams. Now, years later, Zach is back in Cloud Bay to record his first solo album. His return could also be Leah’s big chance to step up her own music career. But getting the producing credit she needs means spending long hours with Zach in the recording studio...and falling back into the habit of longing for him, for better or worse. Why Did I Listen To No Place Like You? No Place Like You by Emma Douglas appealed to me because I am a SUCKER. That’s right! So, I was sold on giving this book a shot because I was told that it is a small town romance. Then, I was told there’s a musician involved. And there’s some regrets. OF COURSE, I needed to give this book a chance. I went for it on audiobook because it was kind of short when you listen to it at 2x speed. Also, because it’s one of those outstanding books on my Netgalley queue and I am taking that queue pretty seriously these days. Also, I find following along with contemporary romance audiobooks very easy to do. 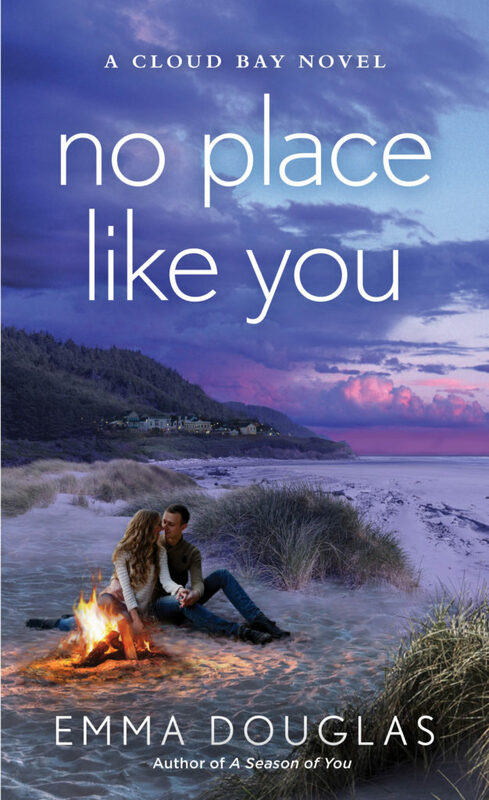 No Place Like You by Emma Douglas follows two people who have a history – Leah Santelli and Zach Harper. Leah had a crush on Zach, her best friend’s brother all through high school. The crush culminates in them hooking up at Leah’s graduation party, if I recall correctly. It doesn’t pan into anything more. Zach goes away to become a musician and a huge deal. Leah stays on Cloud Bay and becomes a producer. Zach then returns to Cloud Bay and the two begin to orbit each other as Leah helps Zach record. Of course, this is one of those second chance romances and I think we all know how it plays out. How Did I Like No Place Like You? So, I haven’t actually read any of the other books in the Cloud Bay series before. Although, my co-blogger Allison has read one. Anyways, I am kind of wondering now if that has factored into my enjoyment of this book. On the whole, No Place Like You is not my favorite. I did not really care all that much about the characters, or even about the setting. Like, I typically enjoy books about musicians too. However, this was not the book for me. Maybe that’s due to listening instead of reading? Who knows. The audiobook is narrated by Nina Alvamar. Ultimately, the narration is forgettable, much like a lot of this book. I will say that if contemporary romances are your wheelhouse, do not discount entirely based on what I am saying. Please know I am approaching this series from starting in the middle and am 100% a mood reader. I did find this book hard to pay attention to and hard to really care about in the end.